When we arrived to Varanasi we spent almost 3 hours looking for a hotel to stay; although the city is plenty of cheap accommodation not all of them receive foreigners and seem save. Some of their rooms look like a box, without windows and with dirty shared bathrooms. Then we were interested about the city which is believed that it is 3.000 years old. According to the legend, Varanasi is the favourite city of Lord Shiva who helped to Goddess Ganga (mythical version of the Ganges river) to go down from the sky to the earth absorbing the impact of the great cascade. So the Ganges fell on the thick hair of Shiva who after twisting a lock the river began to fall gently. Thereby, the golden temple, the most popular in the city, is dedicated to Him, which is inaccessible to the non Hindus. 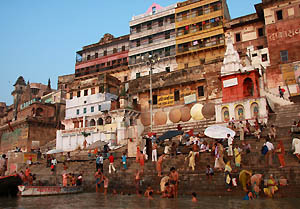 It is also believed that Varanasi in the Vedic period was an important religious centre dedicated to the Sun God, Surya. 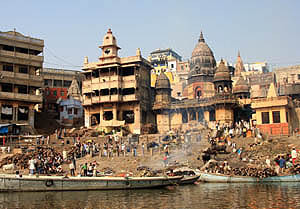 Today Varanasi is considered for the Hindus one of the main pilgrimage cities which according to the tradition one should visit at least once in the life. 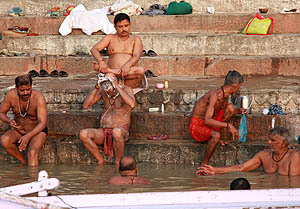 Located on the banks of the Ganges River, pilgrims of the whole country come to take a bath to purify their sins or to pass their last days in the holy city because it is believed that those people who die in Varanasi are liberated of the cycle of reincarnations. Thereby the city has become the destination of sick and old men who wait in different residences that arrive their time. During my stay in Varanasi I had the sensation that if there is a place in the world which represents how the life and the death are just transitory moments of a same way, it is. During the following days we walked through the Ghats (names that receive the stairways which descend to the river), as looking for something, but in fact Varanasi doesn’t hide anything, it shows everything. The ghats of Mani Karnika and Harischandra are the main crematories, where are usually burned more than 100 bodies per day in each one. According to people explained to us 60 kilos of wooden are necessary for the cremation of a corpse which is transported in a bamboo stretcher by their relatives from any place of the city; sometimes by van, by motorcycle or even by bicycle requesting passage with diligence, sounding horn or shouting. Then, they cover the last distance by foot, almost “trotting”. So wrapped in a white sheet they carry the corpse on the bank of the river, where get it wet before covering it with the wood so that a priest does a prayer while the relatives and friends say goodbye without giving samples of pain. Those present don’t usually cry neither they complain, they only contemplate waiting the body becomes in ashy (3 hours) and that the soul travels to the afterlife. During our stay in the city each event makes me reflect. I can’t forget when walking in the darkness of their narrow streets, I saw an old sadhu eating in the floor; but when a cow came closer to him, he decided to share his small plate of food with the animal, giving it in its mouth. I had to stop to be able to confirm it because I could hardly believe what I was seeing. 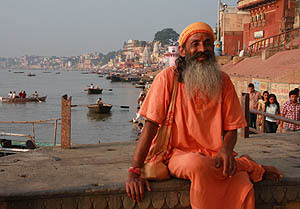 The sadhus are those people who dress with oranges tunics and have given up to the material life. They walk without fixed direction; they live without family and without more goods of those than they carry with them. 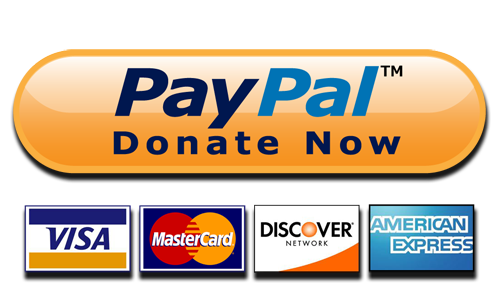 They live receiving charity and they sleep in any place. The goal of an advanced sadhu is to reach to dominate the operation of the body so that it helps them to progress spiritually; thereby they try to dominate the carnal desires, to control the senses and to channel his energy to will. According to people there are still many of them who live in the Himalaya heights, following the example of the God Shiva. There, there are teachers who impart the wisdom of their experience to their pupils teaching them meditation, yoga, naturist medicine and other physical-spiritual practices. A sadhu of these was who inspired the prince Siddhartha to abandon his palace to become later the Buddha, 2500 years ago. But like in everywhere; there are some of them real and others no so much. According people explained to us some sadhus are really saints and their mission consist on guiding people on the way of the religion. But others take advantage, they dress like them to eat free and they are occupied in practical not so spiritual, as the consumption of drugs or alcohol. Also, due to many sadhus don’t have home neither documents, it is believed that some fugitives of the law take advantage and they become. A class totally different from the real sadhus is in the tourist places who for their exotic appearance pose for pictures and then ask money. Some of them are really characters, as Babaji who was staying in the same hotel than us and very often he sat down on the table to eat with us. Babaji was completely in love, he was living together with his German girlfriend since 6 months although he told us that she gave him a lot of headaches. We found him like a child and not really so “spiritual”. During the following days we got up very early and we hired a boat to go around. We felt as if we were in a theatre, in the first line. 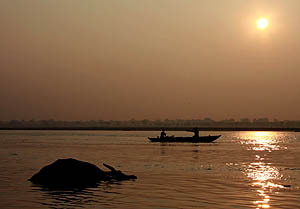 To go by boat on the Ganges during the dawn is a real show and guaranteed. 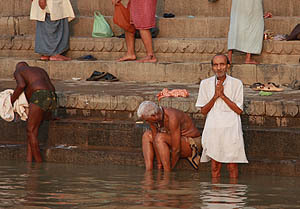 At sunrise men and women can be seen carrying out their baths for purification in the river at the same time that they surrender tribute to Surya, the Sun God. Some people by means of rituals are initiated in the spiritual way and others meditate, while others wash their clothes or simply wash themselves; soap and shampoo included. But suddenly and for a while the show is paralyzed because the boat-salespersons invade us, or because we just cross with a dead buffalo as who also looks for purifying its sins. So once more I remember the slogan of the National Tourism Ministry, “Incredible India”. In the last days in Varanasi we celebrated my 36th birthday with a chocolate cake which my brother and Clara bought. It is the ninth birthday during the trip. Then Clara and I were rushed to leave the country toward Nepal because her visa was almost expired and contrary to any other Asian country, India doesn’t extend it. But we were happy; because we were leaving India and a new country was coming to be discovered, although then I would return alone to India to go into in the last part of the Indian stage.